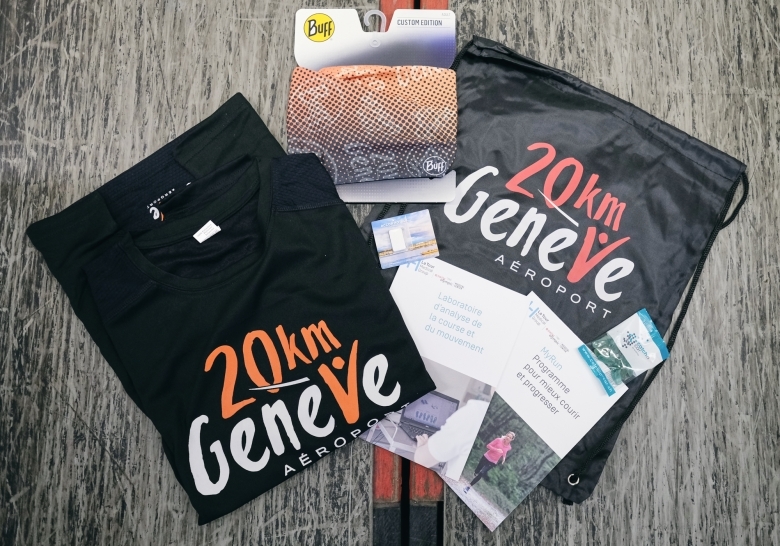 Join us at Terminal 2 for the Expo Village of the 20km of Geneva by Genève Aéroport and make the most of the numerous activities on offer throughout the weekend. 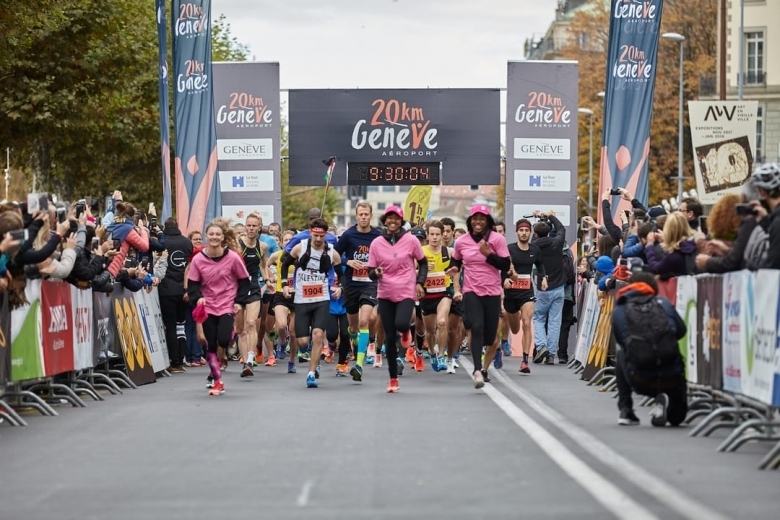 For the second year running, Genève Aéroport is proud to be the title partner of the event and to offer a number of activities on their stand. Genève Aéroport is happy to offer you two different workshops in collaboration with the La Tour Medical Group. Ellen Sprunger - health and performance coordinator, François Fourchet - physiotherapist, lab manager for the analysis of movement, and Guillaume Servant - physiotherapist will be present to lead the workshops and answer your questions. A number of sessions are planned throughout the weekend lasting 30 minutes, book your free spot here. Come and test your reflexes and challenge your friends on the digital reflex wall. A good occasion to test your speed and reflexes in a fun manner. The champions from Team Genève will be present on the stand and have a couple surprises for your. Come and meet them and challenge them on the reflex wall. Come and enjoy the advice of the experts from the La Tour Medical Group. The nutrition department will be on hand to analyse your body composition and inform your about the share of muscle and fat mass in your body. To benefit from the advice of the sport physiotherapists, sign up to the Geneva Airport workshops above. Finally, don’t forget to pick up your present from the La Tour Medical Group on their stand. Feel Welcome. Discover the hospitality of AccorHotels and enjoy a refreshment on their stand. Have a go at their wheel of fortune as well and win one of the many prizes on offer. Challenge yourself on the Raiffeisen Super League: try to score three goals and take part in the prize draw to win a free entry for 2019. Discover the offer from Catch a Car, turn their wheel of fortune and take home a prize. Come and test your ability on the Batmaid stand with their basketball hoop to win 3 hours of free cleaning.